Interesting Ways to Wear Plaid & Flannel — Anna Akbari, Ph.D.
Yellow Flannel Scarf with Crochet Lace Edging A closet full of plaid shirts can become overwhelming to create outfits out of – that’s why it’s great to use as an accent, with things like flannel linings or accessories. 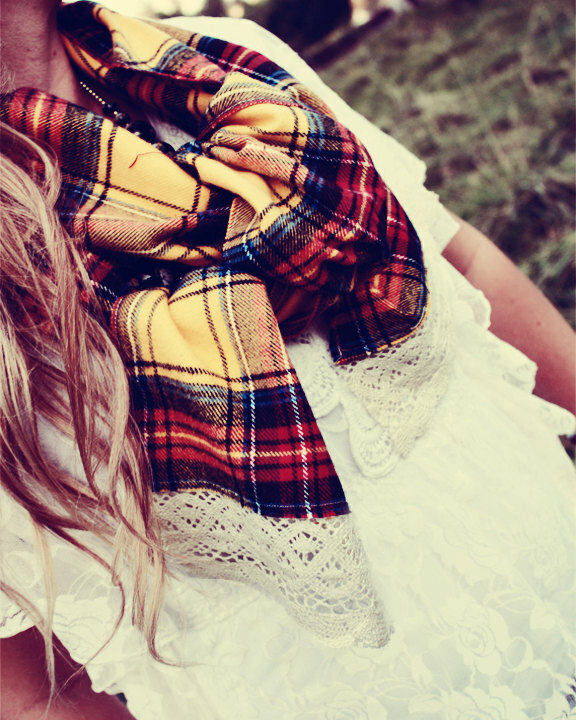 This plaid flannel scarf on Etsy sticks to primary colors, so it’s easy to incorporate. Additionally, the crochet edging adds a bit of femininity and detail. 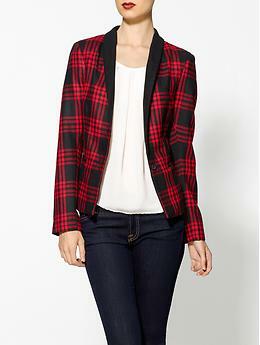 Try it out, matching one of the colors in the plaid to your jacket or skirt. Cole Haan Plaid Wool Capelet Flannel wasn’t always an emblem of rugged workwear. After all, it has its roots in Scotland, where it hearkened back to Victorian nobility. 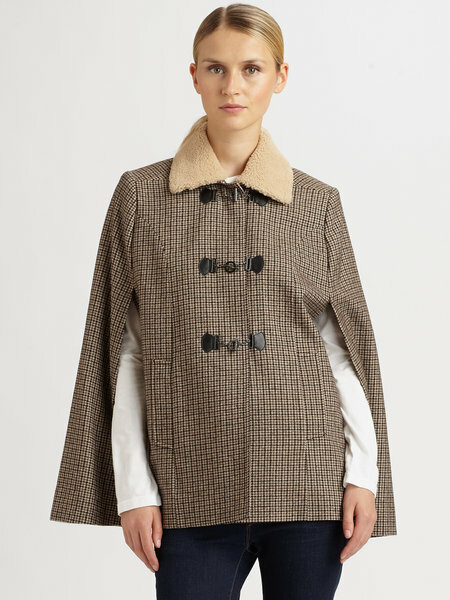 In this capelet, it does just that, softening and refining the rough structure of a moto silhouette. The sherpa collar and princess seams definitely read as more polished than punk-rock. Urban Renewal Cut Out Back Flannel Of course, flannel remains popular as a workshirt for a reason. Nothing comes off as more cool or casual than a bright plaid with a well-fitting pair of jeans. However, often the coolest vintage flannels are cut too square and baggy for a woman’s body. 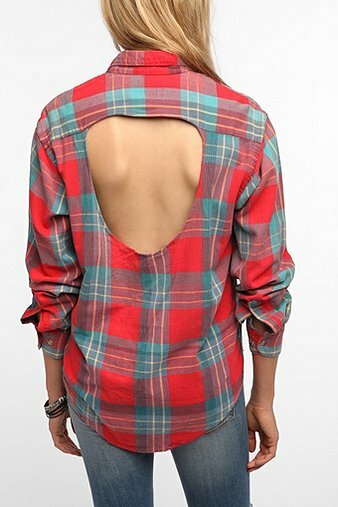 That’s why Urban Outfitters released this vintage update with a cut-out back. Layer with a camisole for a still-casual surprise. Dolce Vita Plaid Blazer Even if you only have basic fashion sense, you’ve probably intuited that a great way to wear your favorite flannel is as the top layer of your ensemble – open over a lighter shirt tucked into a high waisted skirt, or with a tank top and jeans. This Dolce Vita blazer takes that principle and multiplies it by front pockets, an oversized V-shaped collar, and a structured, scholarly fit. Dress up with pearls, a flowy dress, and heels, or throw on over those dark jeans for a look that’s as pretty as it is punchy. 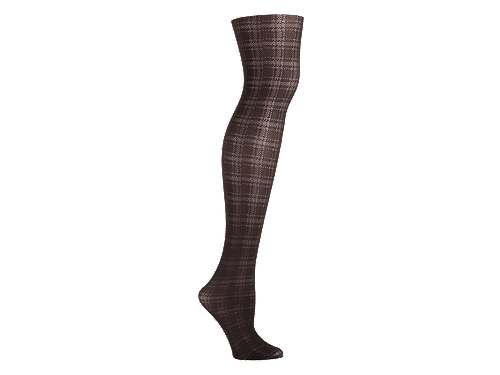 Cole Haan Plaid Tights Patterned hosiery is a great way to keep your outfit interesting and warm in chillier months. A plaid in neutral colors, as seen in this Cole Haan pair, adds a subdued vintage flair to a basic dress and blazer combination.